Ever get tongue tied when someone asks you what you do? Find it difficult to show someone what home staging is all about? Need a handy professional marketing tool guaranteed to generate conversation and probably an appointment to stage? 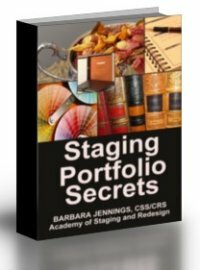 Best Selling Author, Barbara Jennings, has created two handy home staging portfolio booklets small enough to carry in your purse, so you're ready wherever you go to show someone how you can help them sell their home. Pretty cool! Pretty effective! Pictured are a few of the pages that make up the Mini Staging Portfolio. When a person first starts their home staging business, they don't have anything to show and in a visual business where good presentation tools are so essential for success, it puts them at an immediate advantage. But oft times it is very inconvenient to haul around a standard sized portfolio, even if you have one. Well, that problem is now solved for good. Now you can get a handy, generic mini home staging portfolio book small enough to carry in most purses. Whenever anyone asks you, "What do you do for a living? ", you can simply pull out your mini portfolio and show them. We all know that pictures are worth a thousand words, so why bother with words? This mini portfolio simply shows anyone the main basics of home staging and how a stager could help them through the process of preparing their home for sale. Naturally it's ideal to create your own using your own photos. But this isn't always possible, and it is especially difficult to look professional if you are new in the business and haven't developed your own group of pictures. Or maybe you have your own, but you're just not that proud of them or you're just hesitant to use them in this manner. No matter. This mini portfolio booklet will do the work for you and generate conversation for you without you saying a word. The whole goal of the mini book is to get someone talking to you about your services and ultimately booking an appointment with you or passing a referral your way. That's all it is designed to do. 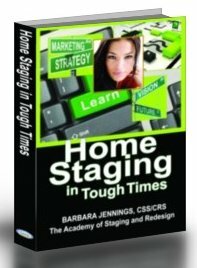 The Mini Staging Portfolio is GUARANTEED to generate conversation about the benefits of home staging. 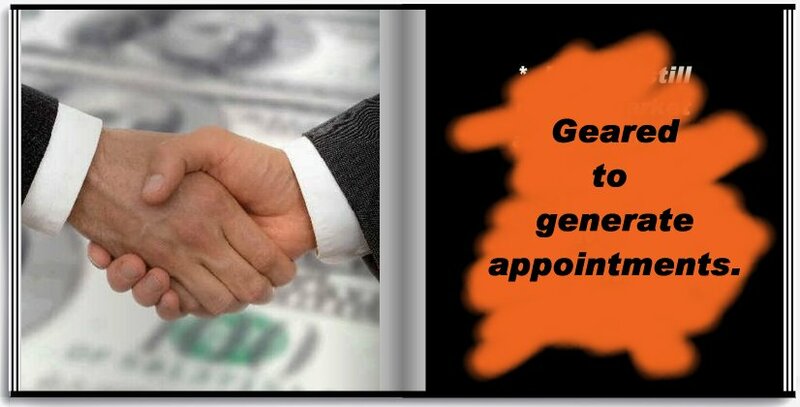 Conversation leads to appointments. Appointments lead to projects. And projects lead to profits! Anyone serious about building their business, particularly when new in the business, should have a set of these mini portfolios. 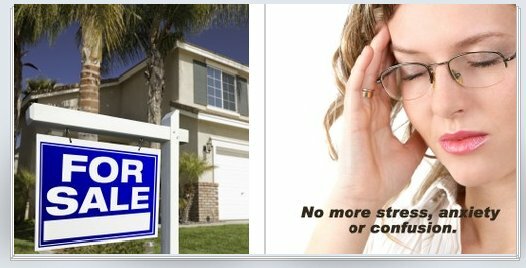 You can whip one out in a flash whenever you have someone in the midst of selling a home, frustrated about the thought of selling a home, or knowledgeable about someone else about to sell a home. Don't be stuck trying to describe your services. Show them! Show them any time. Show them anywhere. Show them quickly. Show them without saying a single word. 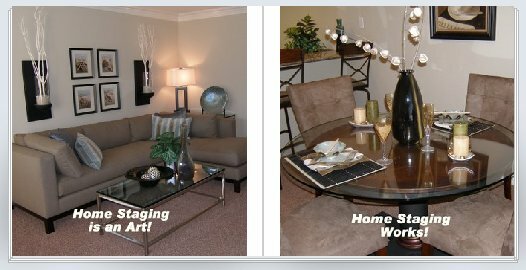 The Mini Staging Portfolio does much of the work for you. All you have to do is pull it out and show it. One of the last things you want to do is to come across as a sales person. You never want to pressure anyone for any reason. But you do want to get specific information across to them that they should genuinely consider and contemplate. You also want to present yourself as a true professional. This is what the Mini Statistics Portfolio will do for you. One of the best ways to accomplish this is to quote powerful statistics by respected individuals or associations that pertain to selling a house. While home staging has gained popularity as an industry, there are still millions of people who don't understand its importance. This is where bona fide statistics are so powerful. It is commonplace for someone to be totally disinterested in staging until they read or hear about the statistics. Then suddenly there is a huge interest. Those stagers who are with people discovering the statistics for the first time are automatically assumed to be professional and even "masters" at their craft. The Mini Statistics Portfolio is geared to generate questions and spark interest where none was before. Showing a person this portfolio is bound to generate conversation and perhaps even an instant appointment. We've even left one page for you to attach your personal label. There is also a label on the back provided for you to write your name and phone number so there is no doubt as to the owner of the mini portfolio. By educating the consumer about the powerful statistics they should know before putting any home on the market to sell, you are doing them a tremendous service whether they set an appointment with you or not. They'll probably want to take your Mini Statistics Portfolio with them. Don't let them. 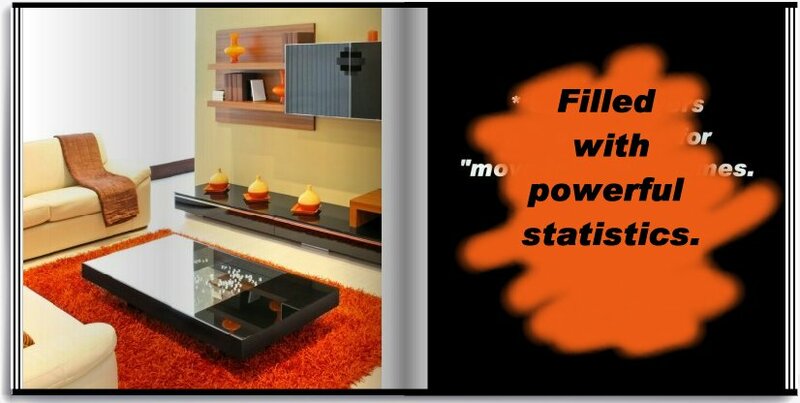 Tell them you'll be more than happy to bring it and a good deal of additional helpful information to them at their home. By having both Portfolios with you at all times, you can choose which one would be most appropriate to pull out to show. 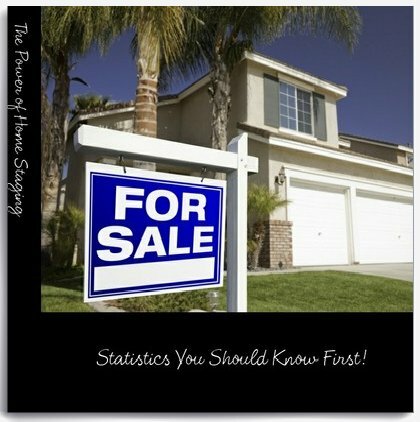 If you meet someone currently selling their home is already acquainted with staging, especially if it has languished on the market for weeks or months, show them the Mini Statistics Portfolio. 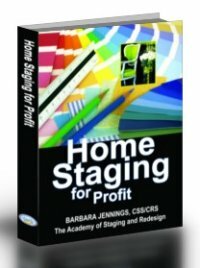 If you have someone who has never heard about staging before, perhaps the Mini Staging Portfolio would be most appropriate. The choice is yours. You'll get both and can use them as you see fit. I've been writing and developing marketing tools for the home staging industry for many years and one of the things I've thought about for a long time is the need for tools that will help anyone, regardless of their length in the business, and regardless of their personal background, talent and experience, to be able to communicate sensibly and logically about their business services and help their prospects really see and understand how they can be helped by hiring a professional home stager. 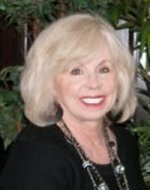 I know when I was directory2@barbarajennings.comew to business, it was extremely difficult for me to vocalize quickly and easily what I do for a living. I never seemed to be satisfied and it was just all to easy to remain silent and lose out on golden opportunities that came my way simply because I was fearful I would look or sound unprofessional if I spoke up. Years ago I developed a musical slideshow full of great images, lots of before and after photos, and it does a great job of presenting the case for staging to anyone who watches it. But a CD portfolio is not very handy in most circumstances. It was developed with the idea it should be loaned to prospects to take home with a preset appointment of when the stager should pick it up. The beautify of this system is that it puts the stager right in the prospect's home so they can see the problems and swing the appointment into a paid project. But as great as that tool is, it requires a CD player, a computer monitor or a TV to be viewed. That's not something most people carry around with them. So the need for a handy purse-sized portfolio was obvious. I just didn't get around to designing one until now (and now I have two for you) because I was busy writing my latest book. But now that the book is done and selling well, I turned my attention to this idea that has been floating around in the back of my brain for a long time. I hope you'll love these refreshingly innovative tools and make them a part of your every day business tactics. You can pull one out at a restaurant. You can pull one out in an elevator (making your elevator speech obsolete). You can pull one out at a party. You can pull one out when you're standing in line at the grocery store. No matter where you are and no matter what you're doing, you can always have your mini staging portfolio and your mini statistics portfolio handy to go to work for you at the drop of a hat. They might even fit into some shirt or coat pockets, but for sure they will slip easily into just about any purse. They are hardbound booklets so they should withstand the heavy beating they will take in most purses - but you can always wrap them for further protection. Each portfolio measures 4.25" x 4.25". The Staging Portfolio has 20 colorful pages and the Statistics Portfolio has 26 pages. The hard bound covers are mostly black and protected with a thick, shiny gloss coating. We also provide a nice label on the back cover or inside where you can write your name and phone number to personalize it. Since coming out with these, we've set about to create a softcover version as well where the price points will be more affordable, but remember they are soft cover booklets and won't necessary be as sturdy as the hard bound books. There are some image variations between the hard and soft bound portfolios, just so you know we're making full disclosure. NOTE: You never want a portfolio you use "on the fly" to be lengthy or over-involved. That would defeat the purpose. It must be something a person can browse quickly yet still get the full impact of the messages contained within. So these portfolios are brief by design. In addition, fully bound colorful booklets like this, for a small market, are pretty pricey to create and inventory. So while the price may seem a bit high, it's because our costs are pretty high from the manufacturer, plus we must cover the cost of shipping them to us and processing orders before we ship them out to students. As stated earlier, the Mini Staging Portfolio and the Mini Statistics Portfolio are deliberately small with few pages. Their job is to stimulate interest and to cause prospects to ask you questions. 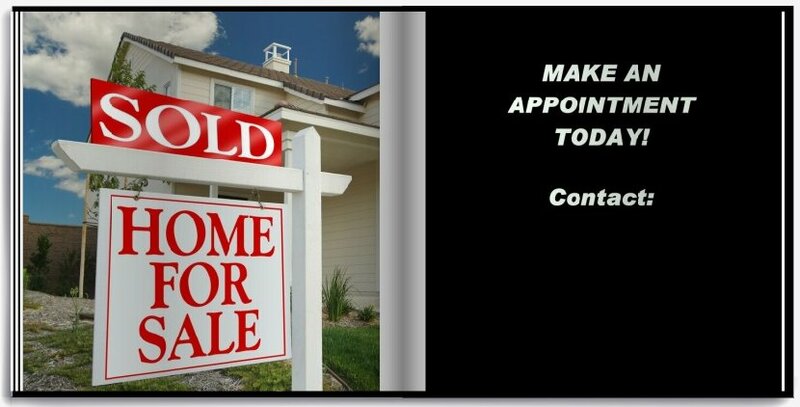 Their job is NOT to land you a project - you will do that when you are successful in setting an appointment at the prospect's home. So don't expect them to do what they were never intended to do. Making them longer would not be a good idea. Studies show that presentation slides should be limited to 12 slides - and that's when an audience is captive. So it is important not to overwhelm prospects with a thick book and run the risk of making them bored or getting into more than you should in a situation where you'll probably have little time to impress someone. The mini portfolios should simply spark someone's curiosity and cause them to look at you as a professional home stager. They are designed to generate questions - they are designed to help you book an appointment where you will really have the prospect's full attention and where you'll be able to close your sale, preferably with the spouse present as well. So don't think these portfolios are sales closers. They are a quick "show and tell" and nothing more and if you have trouble with the "telling" part, you'll find them invaluable to you as they will speak VOLUMES on your behalf. Be Among the First in the Industry . . .
Never let it be said that you are "behind the times". You always want to be on the "cutting edge" of what's happening. You won't find this concept being used anywhere at any price - it is exclusive and original. So order your set today. I only have minimal supplies right now to test the market. More will be ordered if they prove to be as "hot" as I expect them to be. If one Portfolio lands you just one appointment you would not have gotten any other way, what is that worth? 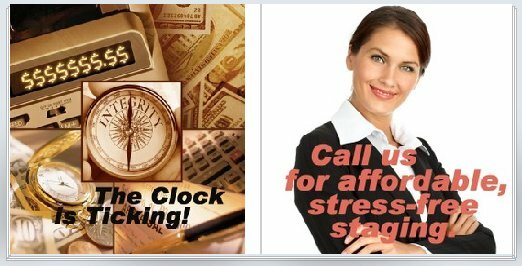 Since you'll make an average of $500-$5000 for a single staging project, these mini portfolios are dirt cheap when compared to the powerful marketing help they will give you - and you'll save time and won't have to reinvent the wheel if you get yours today. IMPORTANT NOTE: These Portfolios are generic enough to be used successfully by anyone, regardless of organization or association, background, training or affiliations. P.S. Remember, you never want to leave home unprepared to present your business to someone. Now you don't have to. Even if you're attending a party - you can have your portfolios with you at all times. Even if you're at a wedding, you can have your portfolios with you ready to go to work. Even if you're at a soccer game, you're prepared. Just like your credit card - never leave home without your Mini Staging Portfolio and your Mini Statistics Portfolio. See Our Catalog | Report Problems | Copyright 2009 Barbara Jennings - All rights reserved. For anyone who wants to create a magnificent sales tool for getting clients.